This year I got the chance to gain some experiences with Atlassian Connect and also Mule/the Anypoint Platform. These two things have nothing to do with each other at the first sight. But when looking deeper, a Connect add-on needs to provide an API and calls the API of the Atlassian product. The MuleSoft products offer API Management and integration and they also support a microservice approach – which fits very well for a Connect add-on. So I tried to build a Connect add-on with Mule. That’s not what Mule is explicitly made for and my add-on should not only provide an API, but also deliver webpages with HTML content. So this was an experiment with unknown result to learn from. This article is more focused on Mule, but for a better understanding I start with a short description of Connect and the app being developed. The goal is to implement all this in Mule. There is already a spring boot implementation, so I had a working solution and the general knowledge what actions are required. Setup hint: For development I used a JIRA cloud instance and a local add-on, tunneled with ngrok. I started to design the API of the add-on using RAML (RESTful API Modeling Language), describing the six endpoints mentioned above. From this RAML specification, we can generate Mule flows using APIkit. To test early and get fast feedback, the first thing needed is the descriptor to install the add-on in the JIRA instance. So we need to serve a static json file from our add-on. Of course we could just try to use Set Payload and paste the json there. But a separated file is much better to handle (editing, formatting and so on). There are multiple ways of how a file can be read and provided to a mule flow. Most of the proposed solutions are rather strange or complicated, like creating a spring bean with IOUtils, providing the file name as constructor argument and accessing this bean through the app registry. Another proposed solution was to use the underlying Thread to get the resource as a stream. An easier solution is to use the Static Resource Handler provided by Mule. 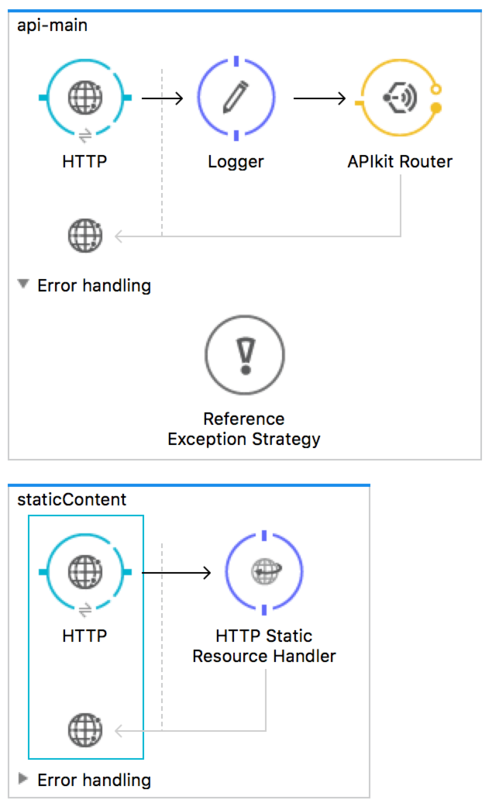 The critical point in understanding for me was to leave behind the APIkit flows – the HTTP Static Resource Handler will be placed directly behind a HTTP Connector in its own flow. This took some time to realize. Now we are ready to install the add-on – but it does not do anything. So the next thing we need is a way to create the desired post-function. For more complex use cases there is also the possibility to include a real templating engine like velocity or freemarker in Mule. The GET request for edit and view contain the configuration of the post-function in json format as request parameters. So we can display the configuration in the text or prefill the fields on editing. But how do we get the values? A simple solution would be to use MEL to extract the fieldname directly from this configuration in a Set Variable Transformer. The variable can then be accessed in the template. Sounds good, but unfortunately MEL does not support json directly. The support for JsonPath was deprecated, so even if you read somewhere about an evaluator=”json” you should not use this anymore. Instead, the json should be transformed to an Object, preferable a java.util.HashMap, which can then be accessed. 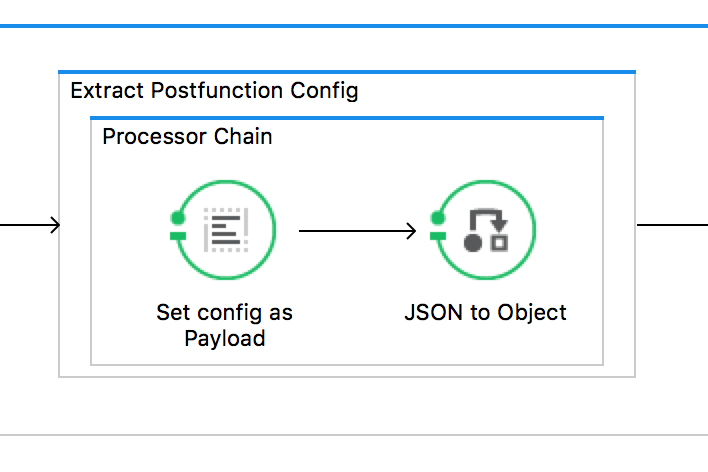 In our case we need to set the config param as payload first, because the JSON to Object Transformer operates only on the payload. 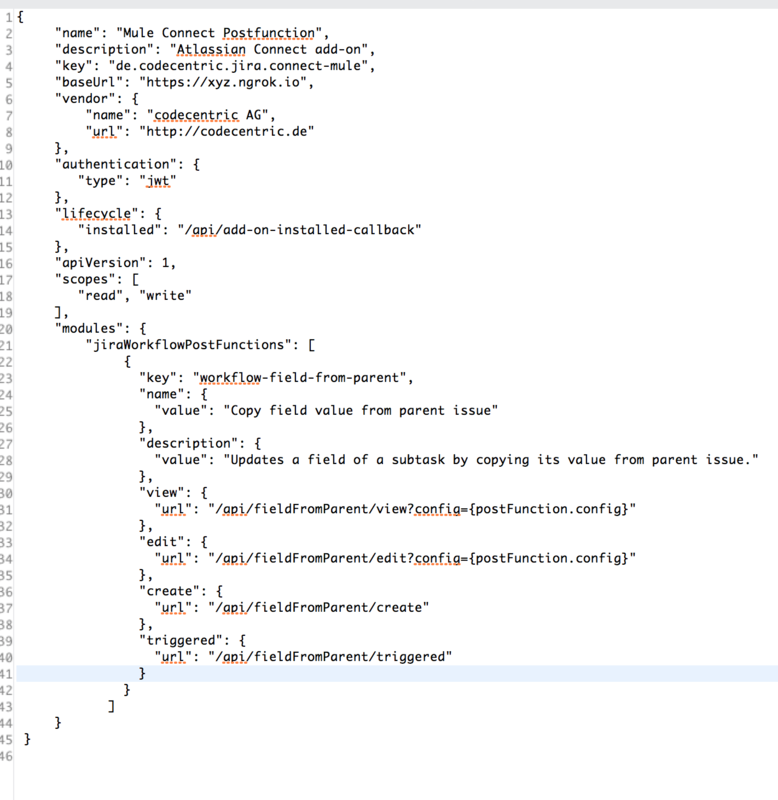 As already mentioned, in the flow to edit the post-function configuration, we need to prefill the fields with the existing values and therefore we have to handle some json data. This sets the content-type of the message to application/json. 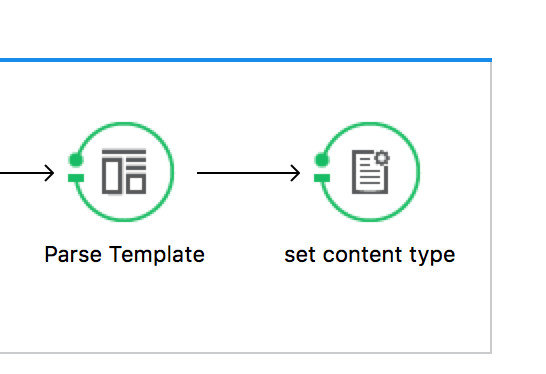 The Parse Template Transformer then updates the payload of the message, but not the content-type (there is no way to define it in this component). So the response was not accepted by JIRA. In such a case we need to update the content-type manually, even if we already defined it in our RAML file for this endpoint. Therefore we can use Set Property, like described e.g. here. Now that we have saved our post-function configuration, it’s time to implement the triggered flow. There we receive a POST request, containing information about the issue, the transition and the post-function-configuration itself (it is stored in the JIRA instance, not in our add-on, so JIRA must send it to us). The content of the request is a large json document. We already saw, that we can convert it to a HashMap to work with the properties. But now when we need to find out which field we need to copy, we can not access the property directly. JIRA has a somehow strange behaviour here and provides the full configuration as one String property. So we need to convert this json string again into a HashMap. But wait – now we have overridden the whole payload with this configuration property. Thankfully, Mule provides a solution here: Message Enricher. This allows us to define a transformer (or a series of transformers using Processor Chain) which has its own scope of payload. Means, you can for example set the configuration as payload, transform it to an Object, extract your values and then leave this scope and additionally use the results of this inner processors to enrich the original message, whose payload is kept intact. Next thing we need is the value of the field in the parent issue, for which a request to JIRA is needed. Of course there are already connectors for JIRA: The Jira Connector and the JiraRest Connector. They provide a variety of operations, that can be configured through the Mule Properties in Studio. The problem here is that these connectors require a username-password combination for the login. But in Connect there is this exchange of security information during installation and then the authentication is done with JWT. We can not create an extra user in every cloud instance we want to install our add-on (in fact, JIRA creates one automatically behind the scenes). So in conclusion, we need to implement the request to JIRA by ourselves. 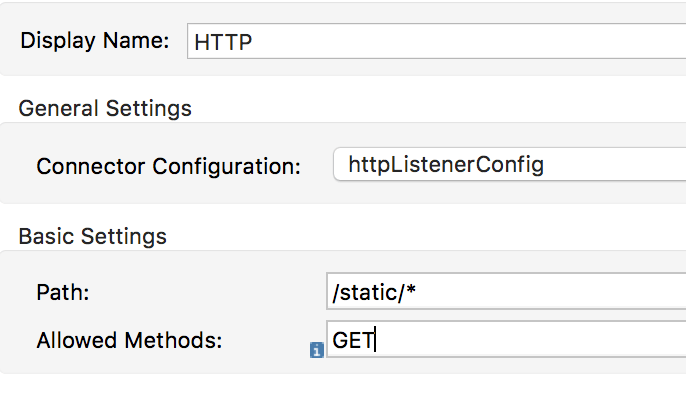 This is no big deal as JIRA provides a REST API for this and Mule has the HTTP Request Connector. The json for the issue contains also a link to the parent. So why not following this link to retrieve the needed value from the parent? This is what hypermedia and HATEOAS are made for and what MuleSoft also advocates in presentations about API design. Now there’s only one problem: Mule does not support following links (at least I did not find it and got no response on stackoverflow). 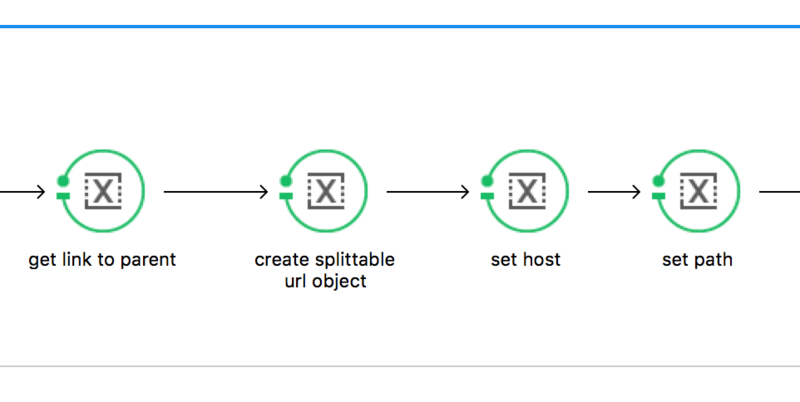 So what we need to do is splitting the link up into several parts, storing them in variables and use these variables in our HTTP Request Connector. For the triggered flow this means three more steps, but in the end it works. Now when we try to read data for the parent we get back http status 401 – unauthorized. Remember the JWT and post-installation-trigger? We did not handle this until now. So we need to store the security information. In a real add-on we would need to do this for every installation separately. But this is only a test case. In the spring boot implementation we used a property file to store this information. Mule supports connecting to file, so it should be easy to use the same way. I must admit that I had real problems converting the json to properties format and storing it in a file. But this pointed me to a better solution: Mule provides an ObjectStore, where I could easily store the HashMap and retrieve it later. Now with the security properties, we can create a token to sign our request and then finally get the data of the parent issue (what we tried since learning #6 btw.). Ergo, where the custom code converts data from one representation format to another, implement it as a transformer; where it creates new data, implement it as a component. We want to create a new token, so this would be a component. But there are more ways to call java code. There is for example Invoke, having the same Icon as the Java Component. This lets you invoke a Java method from a spring bean, defined in global elements. I used this one for the generation of the token, but both of the other variants would also work. For the token itself we used a library provided by Atlassian, which needs to be added to the pom.xml of the Mule application. If you think, that now we are done and can finally get the value from the parent issue, you will probably be disappointed when running the application. Looking at the log, there will be a java.lang.NoSuchMethodError telling you, that the runtime tried to invoke a method that doesn’t exist. But what is the reason, since the code compiled fine and Studio did not show any errors? Turns out, that the Atlassian JWT library needs commons-lang 2.6, but the Mule Runtime provides commons-lang 2.4, which does not contain the required method. Simply adding the newer version to your project does not work, the class loader picks the older one first. Neither on stackoverflow, nor on Mule Forums I could get an answer to create a working solution so far. So I replaced the jar in the runtime, which leads to error messages in studio, but works during execution. Of course this does not work on cloudhub, where MuleSoft provides a runtime. I stopped at this point, as it was just an experiment and not intended for production use. If you really need this, you could try using another JWT library. With the same recipes as described above, one could make a second request, where the subtask is updated with the new value. In the final solution there are some more steps, since you need to filter for issues, that actually have a parent and we also have a checkbox to decide, whether an existing value should be overridden. If we wanted to use this in production, there would be more things to do, like checking incoming requests for a valid JWT signature. It was possible to implement an add-on with the required behaviour in Mule, even if there were some points where I wished it was easier. When you control the runtime the add-on is running and working fine. But the more important thing about this is, that you can learn a lot from such experiments. You need to use a technology to understand and really learn it, this cannot be substituted with reading articles or taking part in a guided workshop. Only if you have to solve a problem by yourself you can evolve yourself. Using a technology in a use case it is not primarily designed for gives you an even better understanding of its strengths and weaknesses and lets you discover new functionality you may not have used before. But be aware in which mode you are – don’t do these experiments in critical projects or in production. Use them to learn in private projects, in proof of concepts, in technical spikes or find a company offering a 4+1 model, so you can do these projects in your +1 time. 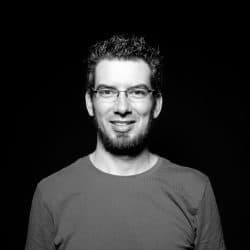 Erik Petzold works as Developer/Consultant at codecentric AG. He is mostly developing in Java and is always interested in learning new stuff. parsing json in MEL can be done, just use #[json:data/field]. 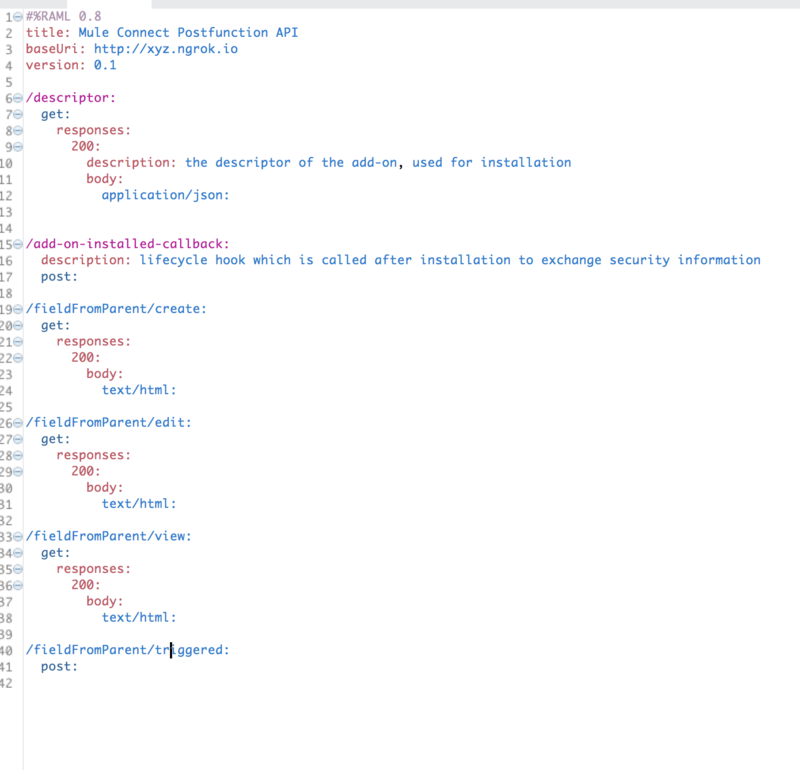 According to https://forums.mulesoft.com/questions/26717/correct-way-of-accessing-json-payload-in-mule-37.html this is not deprecated.